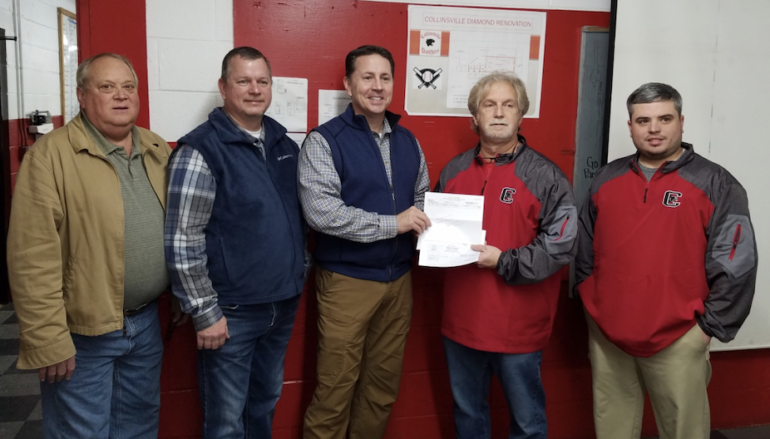 COLLINSVILLE, Ala. — Senator Phil Williams presented a check for $9,360 to the Collinsville High School Athletic Club this week. The money was designated for the Diamond Renovation Project which is working to create a locker room for the baseball team. Senator Williams is just completing his second term and did not elect to run for reelection. This donation from his discretionary fund is one of the last actions he will have. He spoke about how much he had enjoyed being a senator and how he loved being in all the small towns in his district which initially covered parts of four counties. And he especially praised Collinsville for the work that they had done and how welcoming they had always been to him. 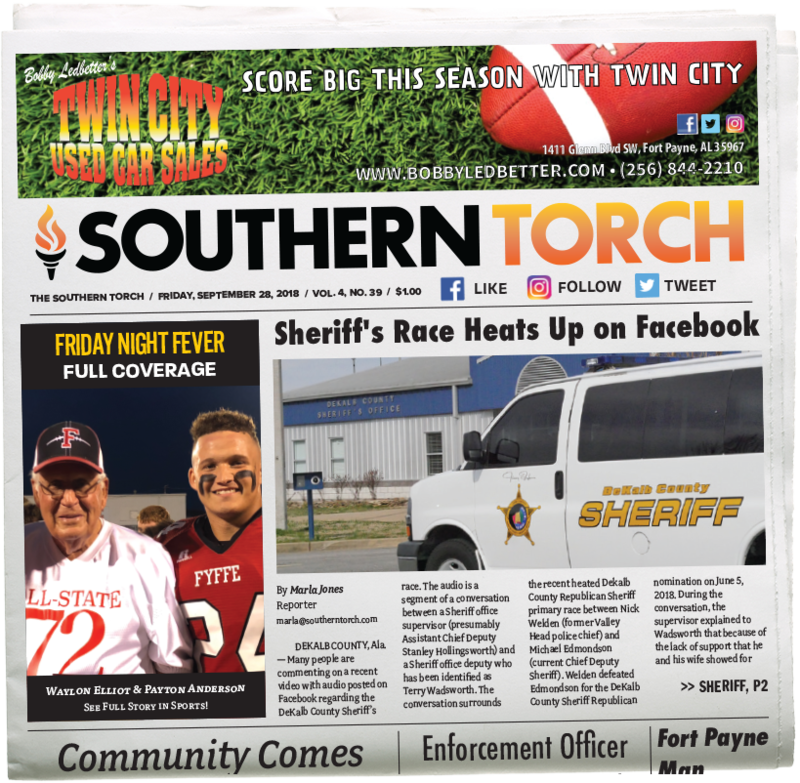 His district changed during the last redistricting, and he told the committee that he “would only go along with losing St. Clair County if they would give him all of Collinsville”.